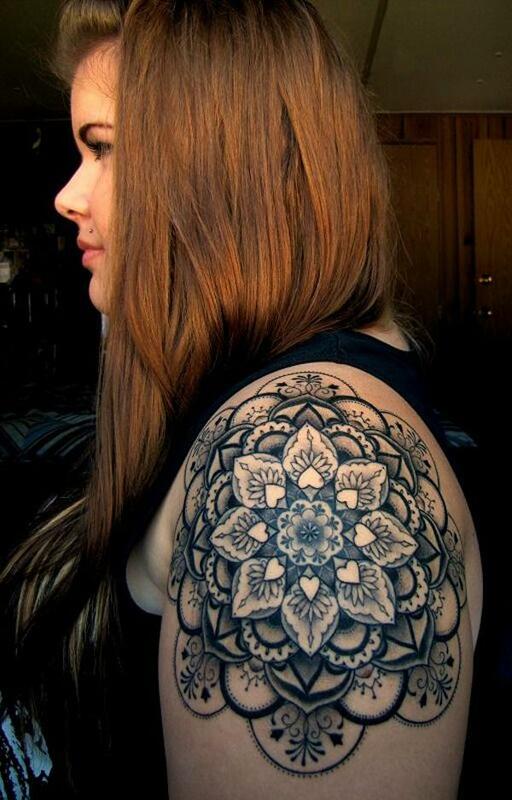 The word mandala comes from Sanskrit, which means circle. 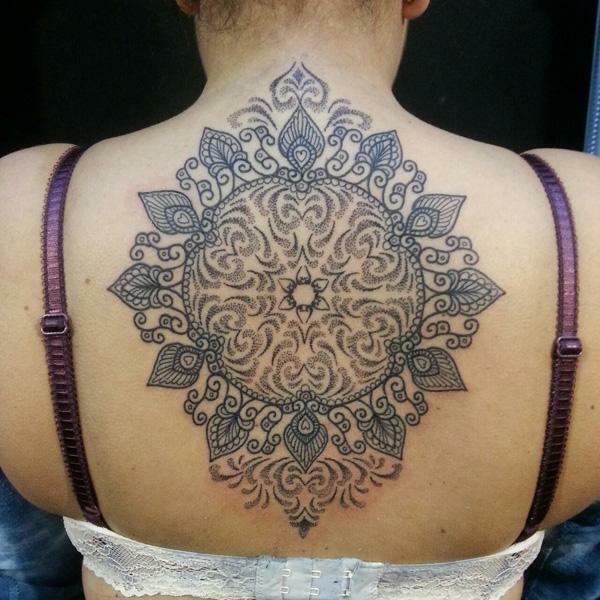 Mandala Tattoos are often portrayed like circular flowers composed of petal like patterns symmetrically. 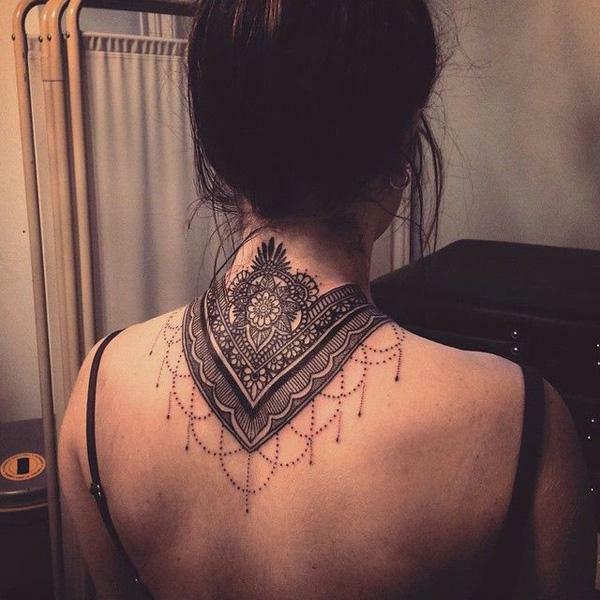 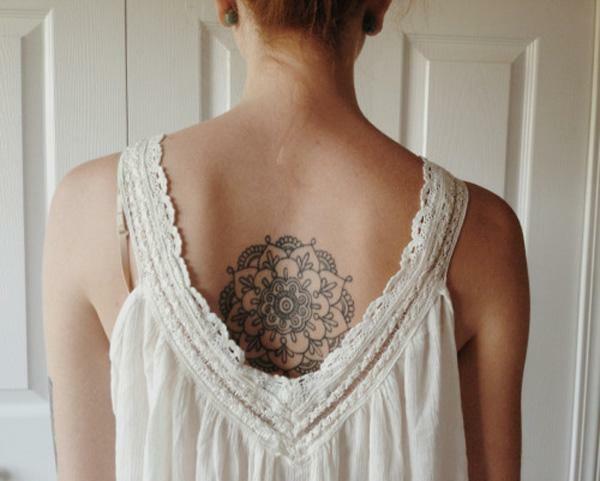 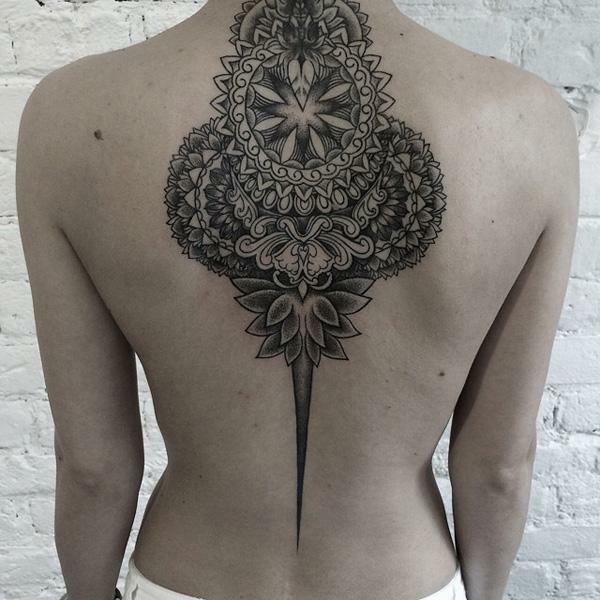 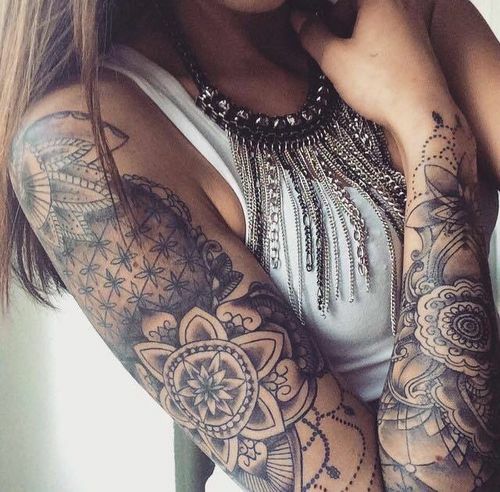 Mandala Tattoos are favorite tattoo ideas for women. 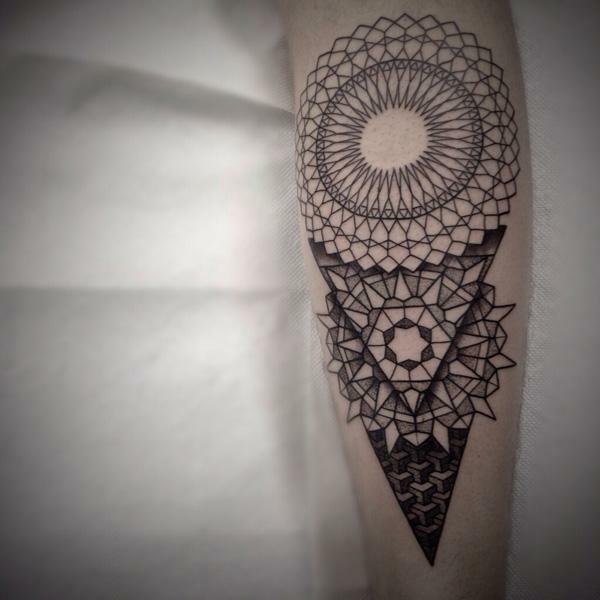 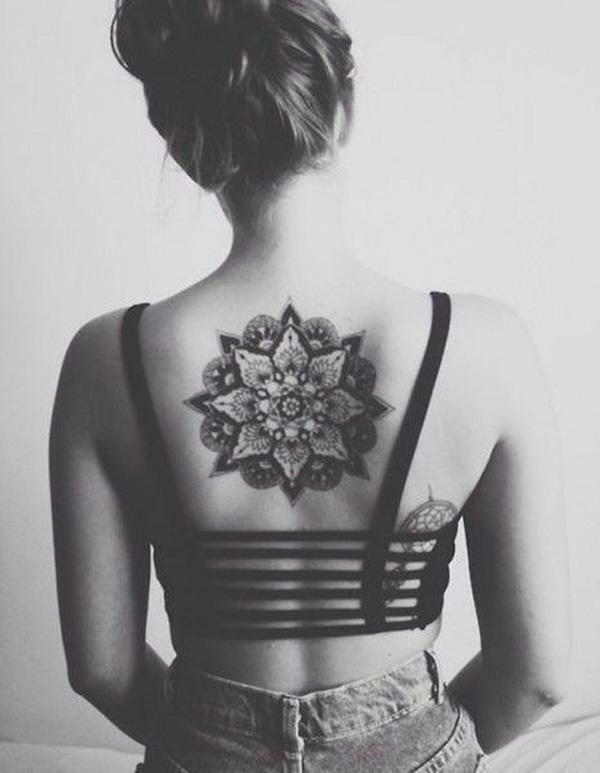 A mandala tattoo is more than a geometric shape. 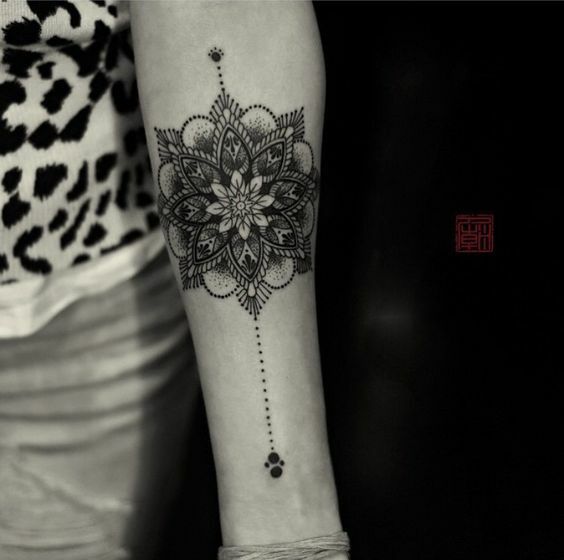 It often integrates with other symbolic elements, such as lotus, representing special meanings for wearers. 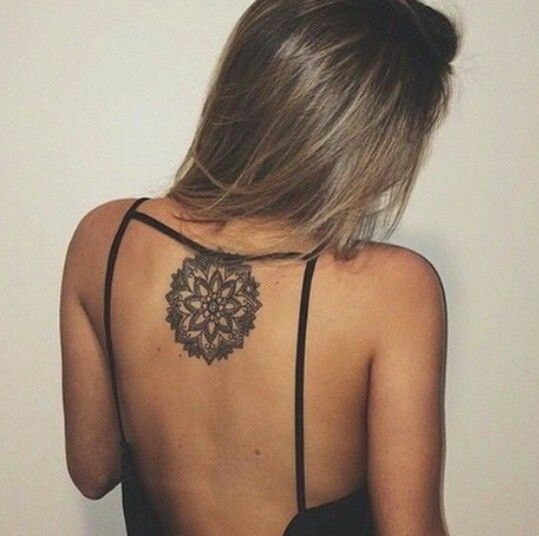 For its circular shape, the intricate mandala tattoos are often inked on the shoulder, back or arms. 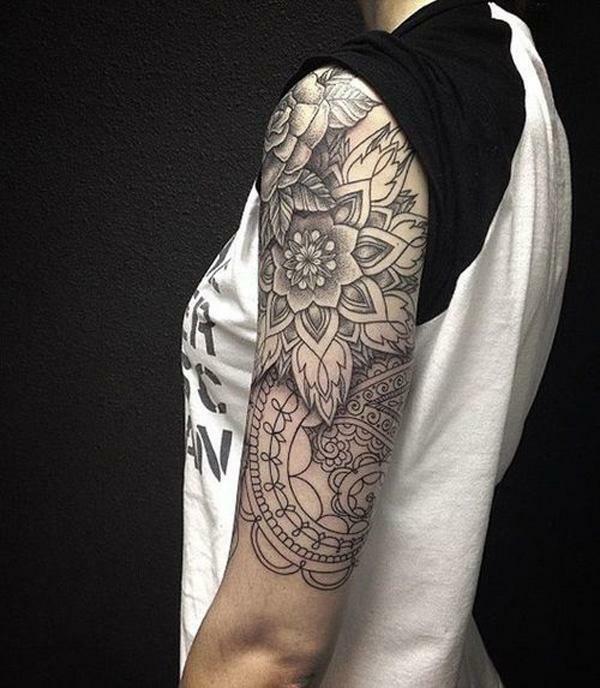 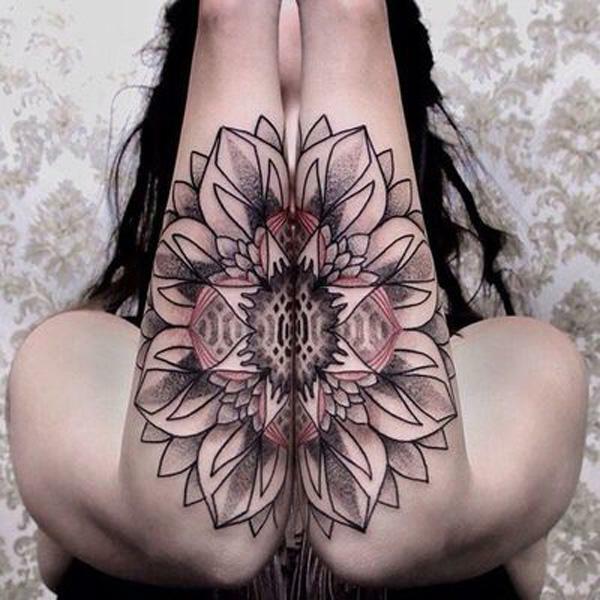 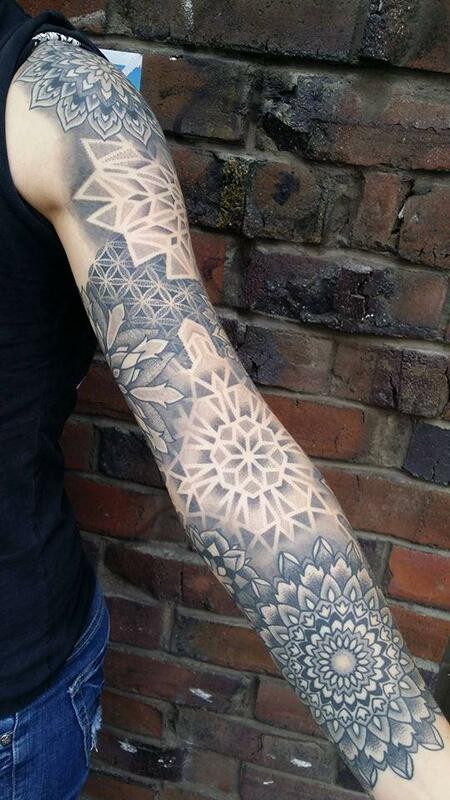 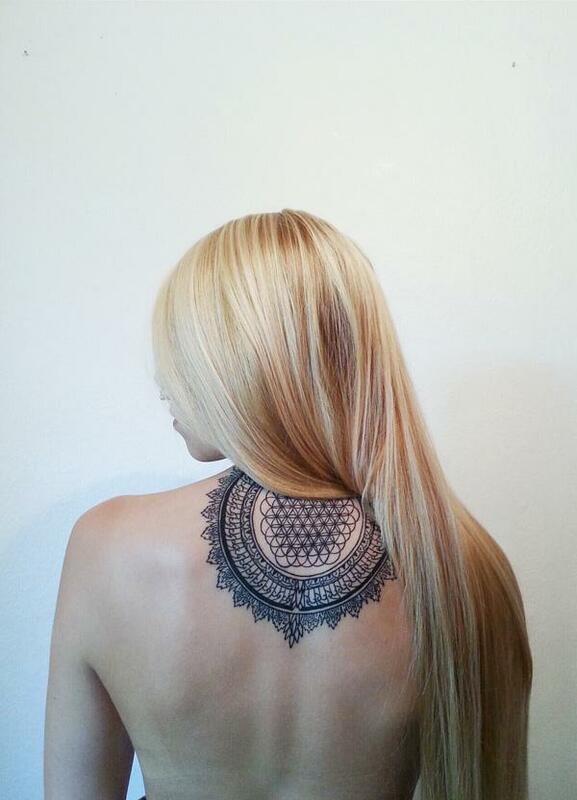 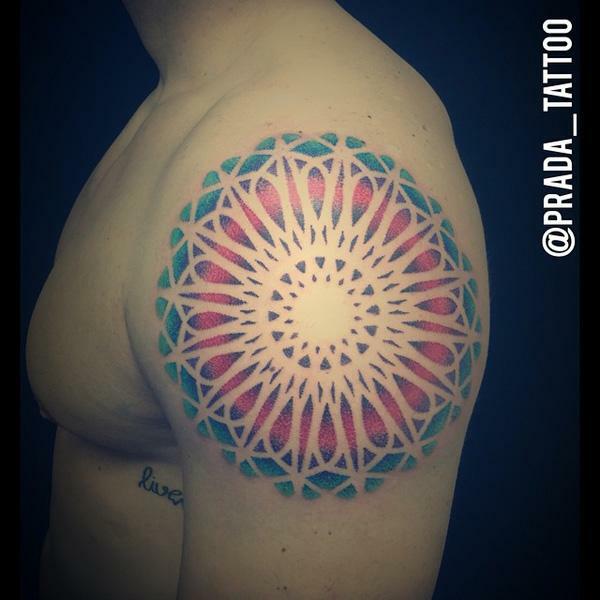 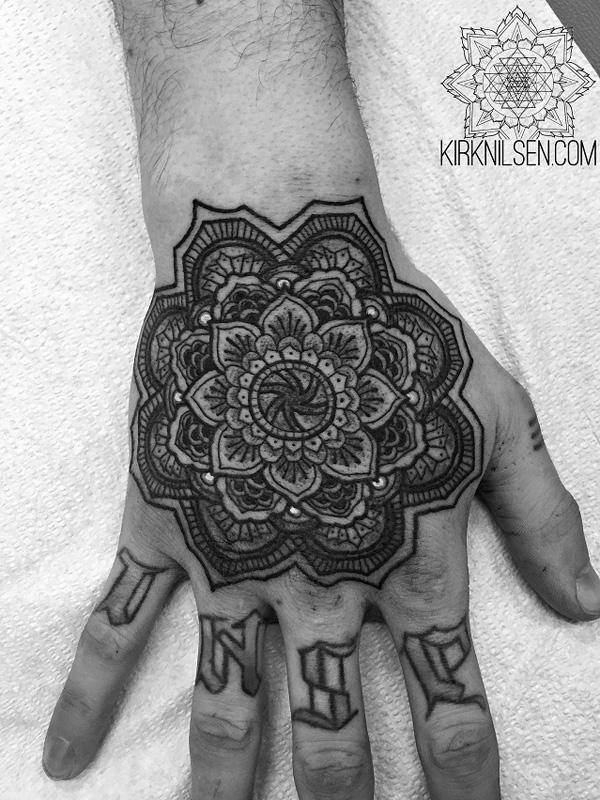 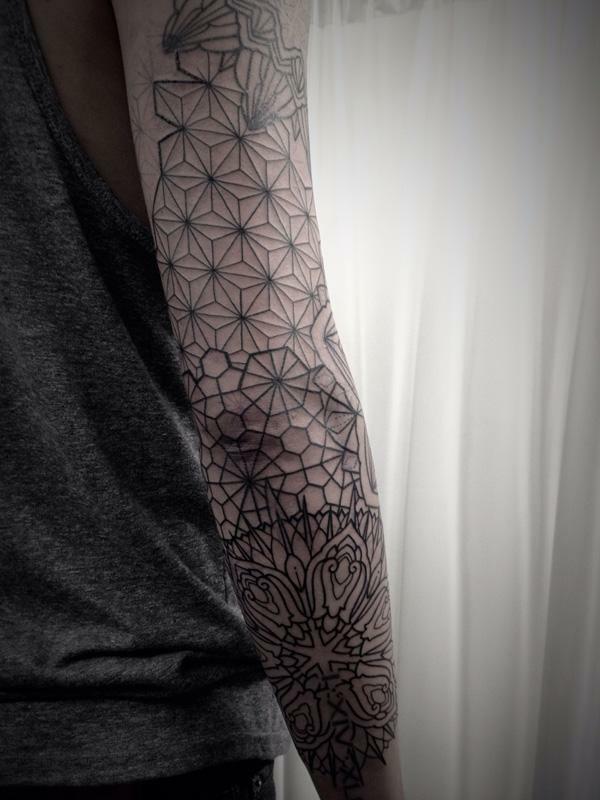 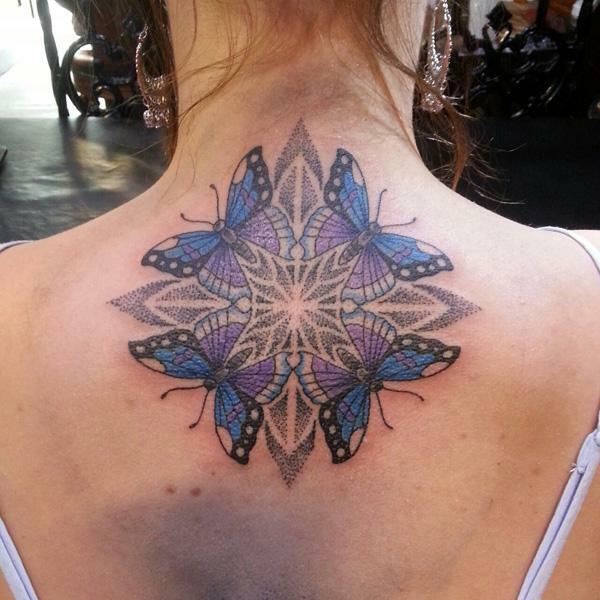 Mandala tattoos create mysterious imaginations for the wearers. 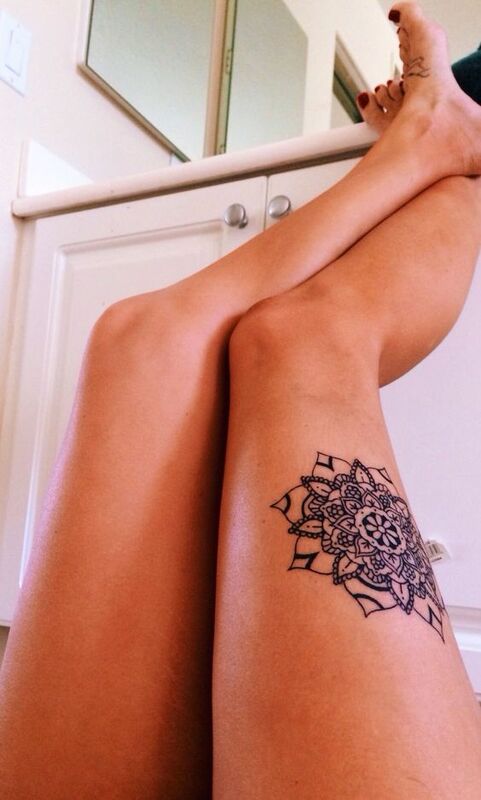 Check out the roundup of the best pieces we have collected if you’d like to find inspiration. 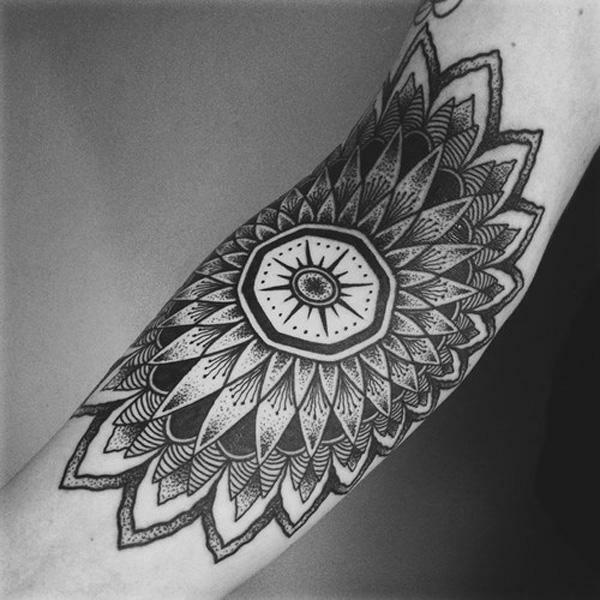 An example of mandala symbol integrated in a maritime tattoo design. 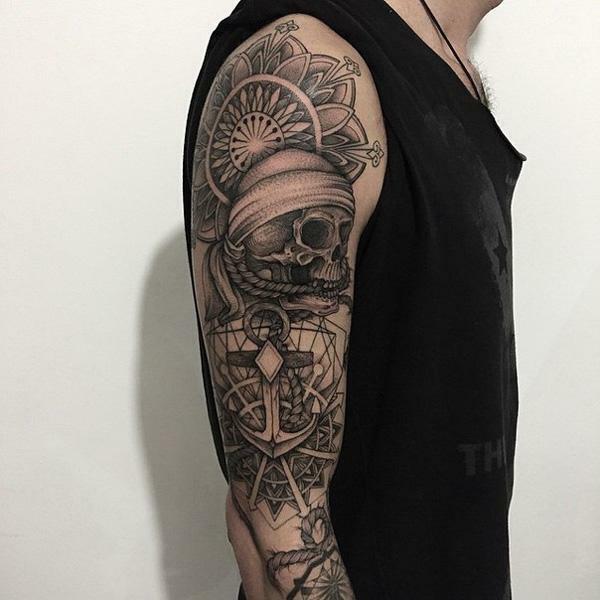 The skull, anchor and mandala symbols represents balance and safe voyage in the life. 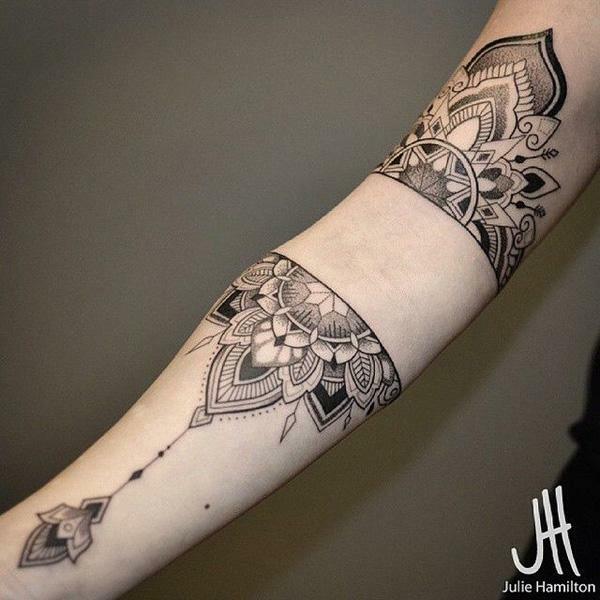 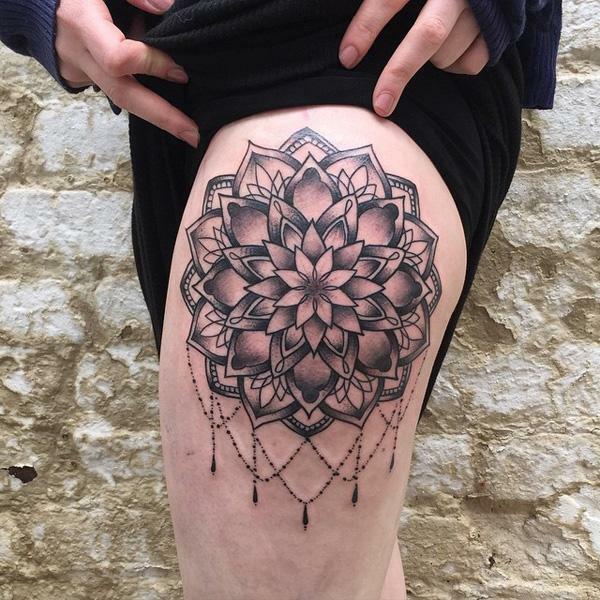 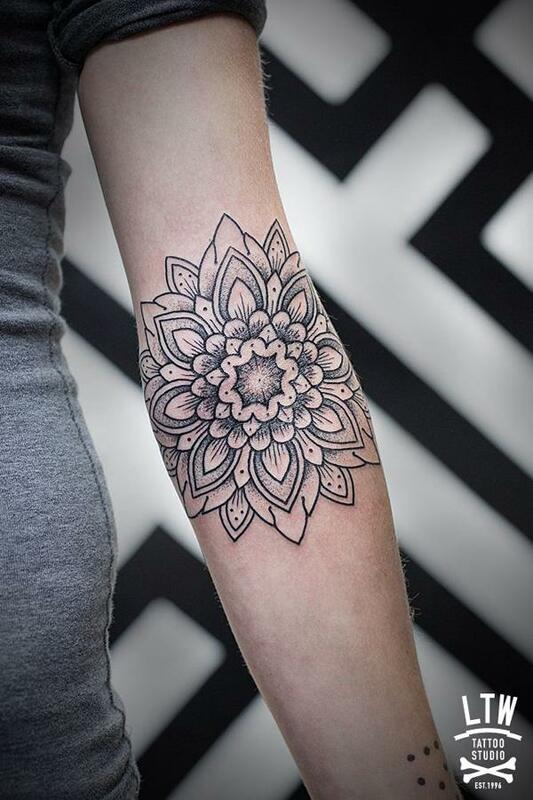 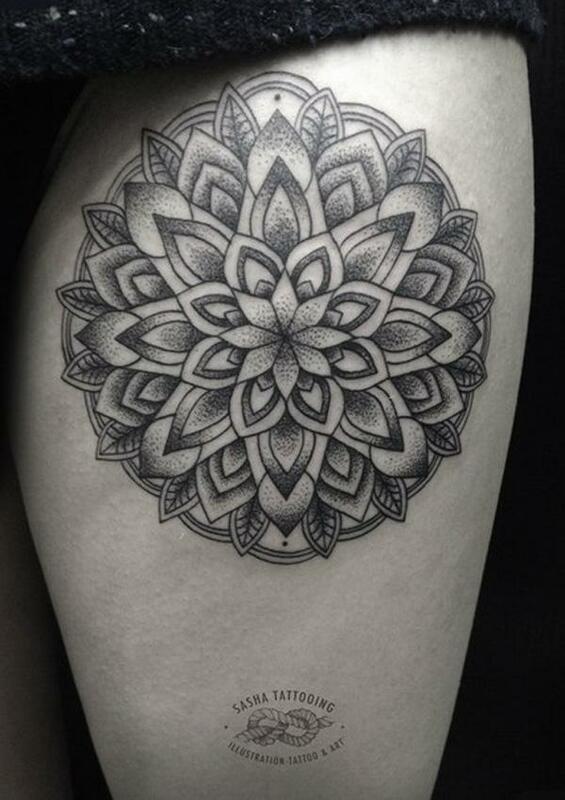 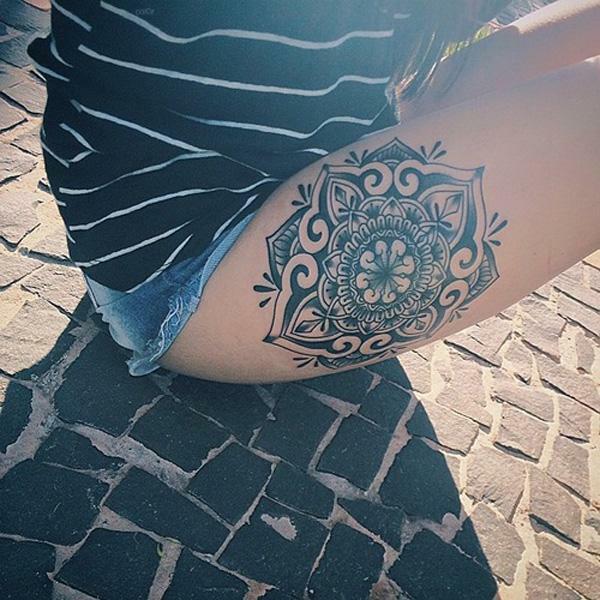 A beautiful mandala inspired thigh tattoo, a unique fashion statement for a girl. 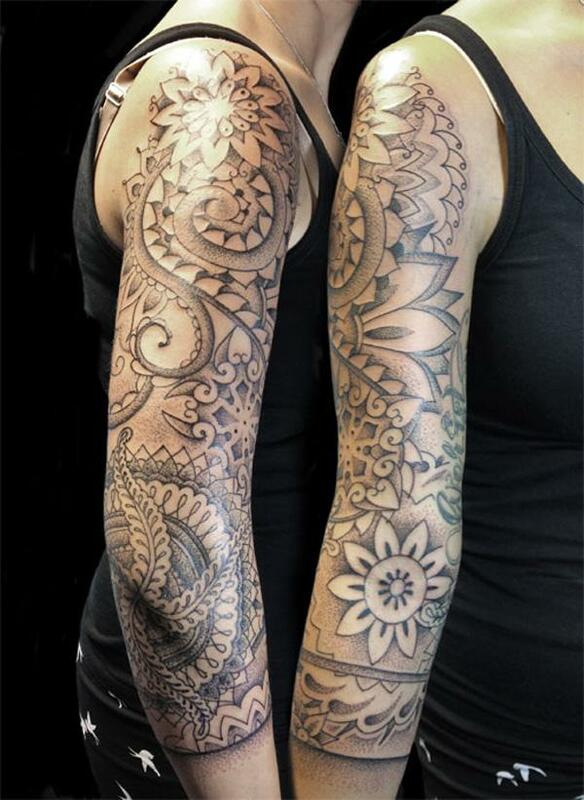 These tattoos have special meanings that are mainly used by mainly the Christians. 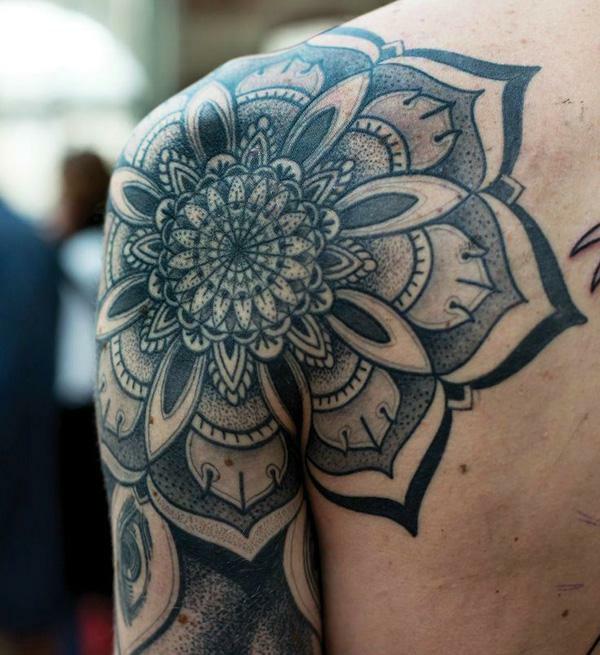 One of the main meanings of these tattoos is the wholeness. 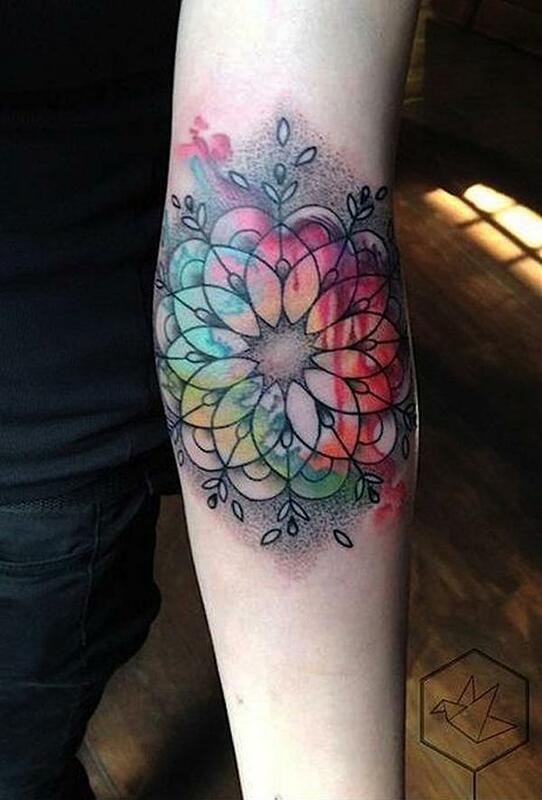 This is mainly symbolized by the circular shape of this tattoo. 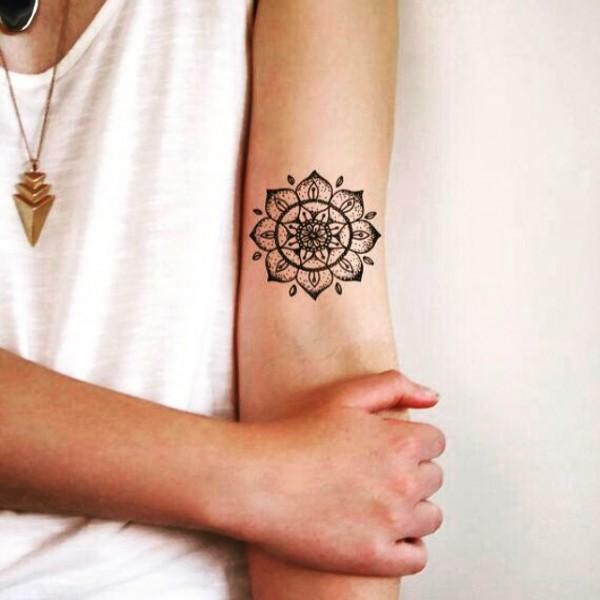 Other designs have special meanings from the symbols attached to them. 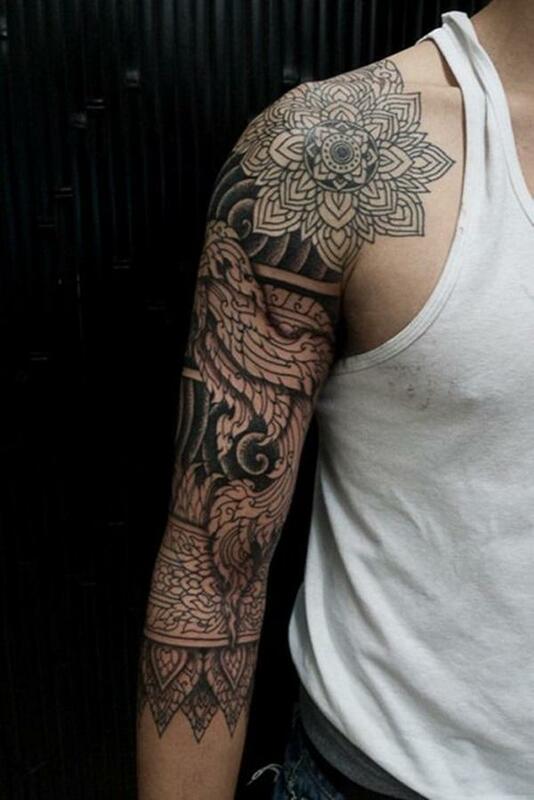 For example, some of the tattoos could be used to represent truth and honesty. 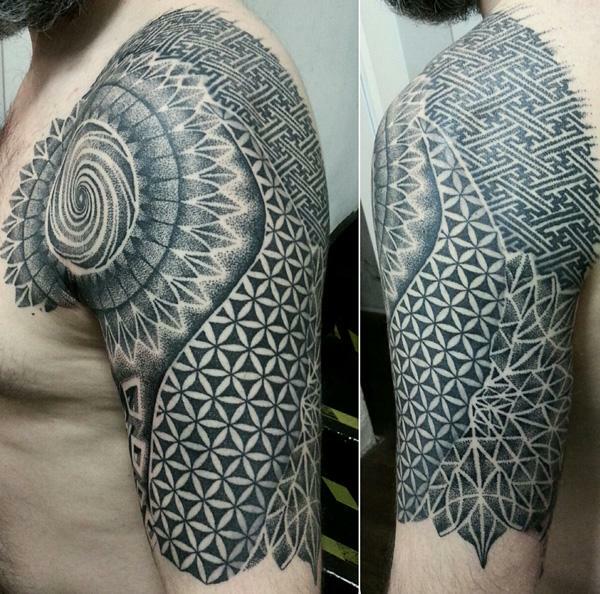 Some of these tattoos are used for religious purpose such as representation of the trinity and eternity. 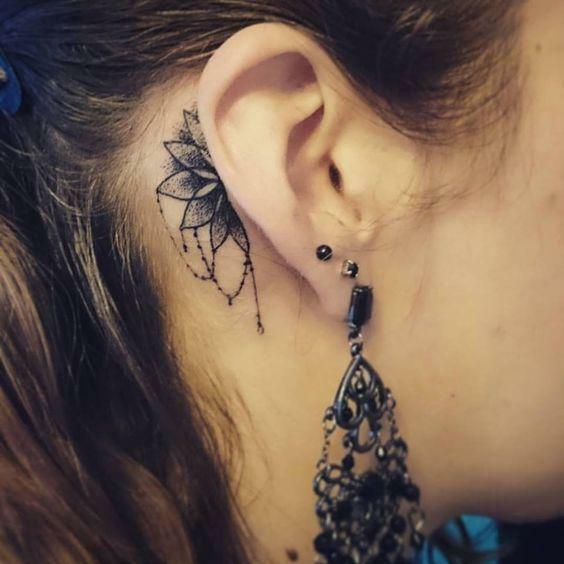 Flower tattoos are very common and are mainly used to mean the blossoming of life. 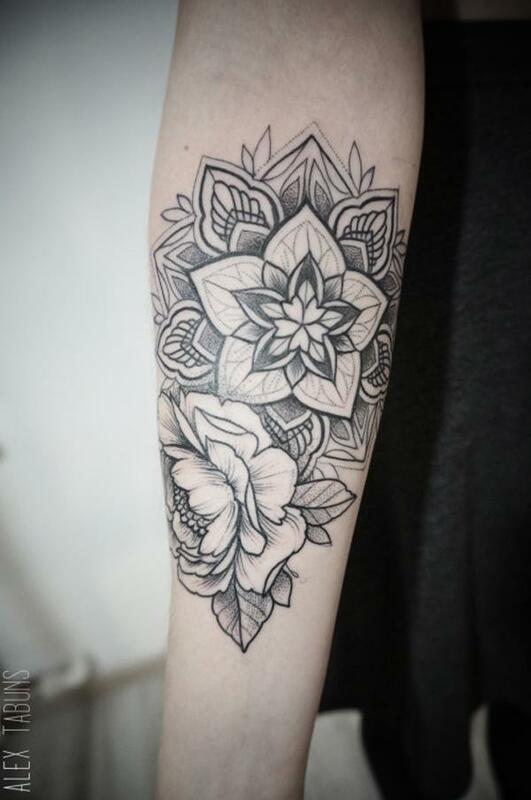 The flower is mainly known for its blossoming nature and thus when used in these tattoos that mainly reflect life issues it can be used to show the blossoming of life. 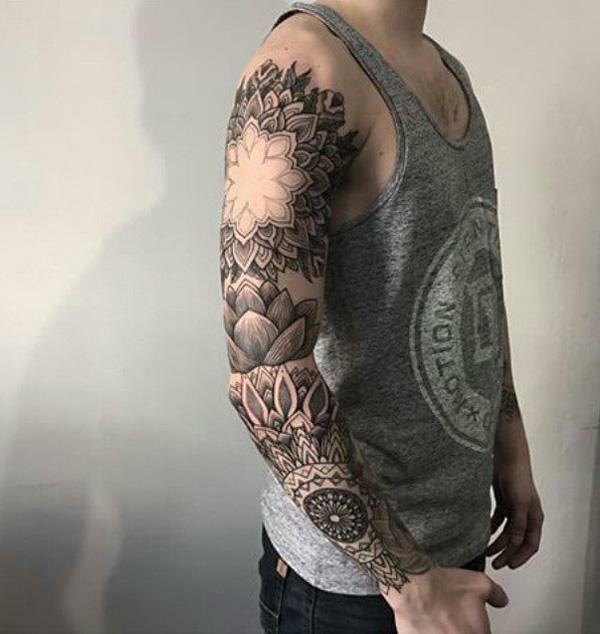 Mainly, these tattoos are common among those people who have spiritual beliefs that are very deep and thus meanings symbolized by these tattoos are mainly religious. 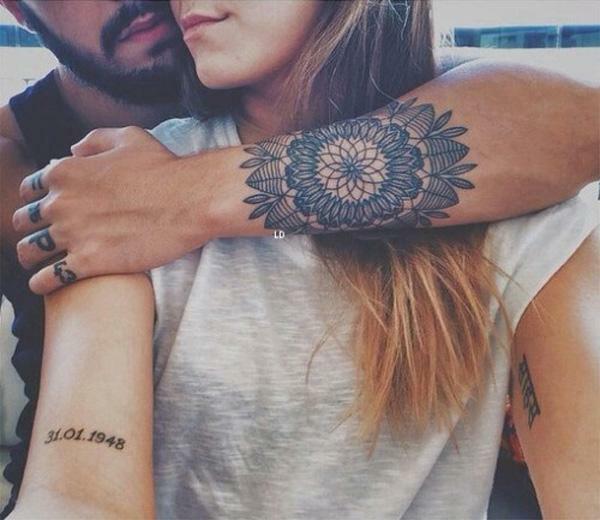 However, the above are not the only symbolism of these tattoos. 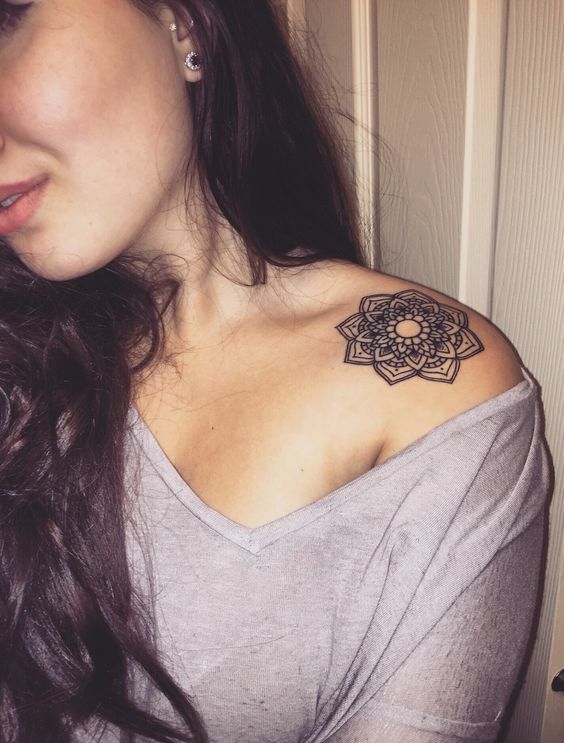 Someone can customize this type of tattoo to have different meaning from the one stated above.